Frequent loss of WiFi at certain locations? I have the MiFi 4082 and at the good times, it works great. I've found that when I go to certain locations, I'll lose the WiFi connection. If my device reconnects, it will quickly (within seconds) lose it again. I was first thinking it was due to WiFi interference, but even if I hold the MiFi right next to my device, it cannot get a good connection in these locations. Once I leave these locations, it's fine. I've run WiFi Analyzer app, and there doesn't seem to be anything odd with these locations, and the MiFi 4082 is much stronger than anything else. If I enable a secure WiFi connection (such as WPA/2), the problem is much worse, and after the initial dropping of the connection, my Android device will continue to try to reconnect, but it will just get dropped right away, reconnect, and so on forever. The "client connection" dots on the MiFi will get to 5 quickly. With an open connection, it will reconnect within a few seconds, and continue to do so every minute or so. It's at least usable, albeit annoying to lose the connection frequently. Note that at no point does my WWAN 3G or 4G connection seem to drop based on behavior and the LED. * Setting the WiFi channel to Auto. * Setting the WiFi channel to 1 or 6. * Setting the WiFi MAC address filtering so that only my device is allowed. * Holding the MiFi next to the device, or 3 feet away. * Using my iPad instead of my Android device. Any ideas what could be causing this? Has anyone else experienced this? Have you tried factory resetting your 4082? have you tried a profile and PRL update? Yes, no help. But note that my 4G connection is fine when the problem is occurring; it is only the WiFi that drops out. did the prl and profile update, tighten the reconnect? It had no effect. That's to be expected since I run 4G only, and the problem is with the WiFi, not 3G. How is the wimax in your area? 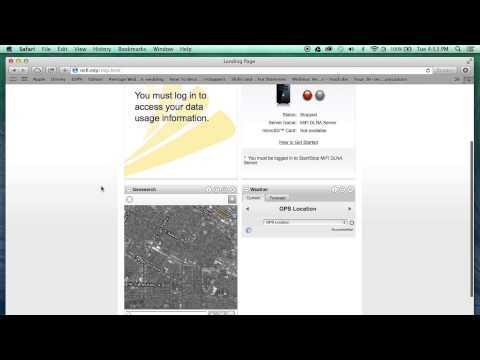 have you checked the coverage map that sprint used over the freedompop one? does it also do this when you at home...no matter where your at? the connections drops and comes back? I'l do some more research and see if i can come up with something? The 4G WiMAX is great. I'm in San Jose, CA, so everywhere I go is solid green in the Sprint map you posted. The 3G is also great; I had 3G enabled last month and tried that out, and works great, but also see the same WiFi dropouts. Note that my WiFi dropouts are only in certain small areas. For example, where I work it's fine, but if I get within about 30 feet of the adjacent building (all sides, so it's not a signal blocking issue), I'll have the WiFi dropout issue every 30 seconds or so. I also see it near another building in another town. I do not have the problem indoors, in my car, or anything like that, just near about 4 or 5 locations. So it certainly seems like something interfering with the WiFi, but no tool seems to pick up on it. And again, it's just my WiFi that is dropping; the 3G and 4G connections do not drop. When I use a phone that has 3G or 4G built in (not using the FreedomPop hotspot), I have no problem with dropping signals in those areas. WiMax and Wifi are close to each other in frequency. One may be interfering with the other. More exactly, the high background wifi noise in some locations may simply be overloading the radio circuitry in the 4082 and causing it to malfunction. I think that is what is happening. It is an old device and the design may not have anticipated the high levels of background wifi noise. About the only think of I can think of is shield the 4082 some way or take it apart and disconnect the wifi antenna. WiMax and Wifi are close to each other in frequency. One may be interfering with the other. If you're suggesting the MiFi 4082 4G transmitter is the problem, then I also have the same problem when using 3G, which is a very different frequency, so that cannot be it. If you're suggesting the cell tower's 4G transmitter is the problem, then I'd have the problem all the time since the cell tower is always transmitting, not just in small areas. So, I don't think that can be the problem. Yeah, I also suspect a similar cause, but how to track it down? I tried using the WiFi Analyzer app, but while that app is very nice, it only shows the signal strengths of the announcing network names on each channel. It doesn't show anything that is not associated with the WiFi announcements. I've been tempted to try out using an external antennae with the device. No I think the trigger is the other wifi devices at those locations. They are probably transmitting a huge power load at 2400 MHz which is overloading the mifi's input pre-amplifier. They may be defective and leaking onto adjacent frequencies as well. The best thing would be to turn down their power levels or shield them or if possible turn them off for a test. Even when set on 3G, the Mifi is probably still (too) sensitive to powerful signals in the area of 2400 - 2600 MHz. These may create noise within its circuits that cause it to reset. This can occur even when the mifi is not doing anything with the signal. It still can overload its passive input circuits and create noise because they are tuned to amplify signals in that range even before processing them. Basically the mifi is just getting overloaded with too many powerful wifi signals. You could indeed regard this as a design defect but I doubt that much can be done about it. It is an old device now. Maybe you could try some use of shielding to reduce input signal levels. Of course, this would also reduce the received and transmitted WiMax signal so it might not be practicable. Maybe you could try to find a location where you have lower wifi signals from the other wifi transmitters in the building. There are no real external antennas for the 4082. I searched thoroughly some time ago. Could be more than just WiFi signal interference ... 2400 MHz is used for a lot of wireless services such as cordless phones (I know, I switched out my cordless phone system 'cause the old one broadcast on 2400 MHz), bluetooth devices, and such ... those would not show up in WiFi Analyzer. I would also wonder if those buildings have a local cell node rebroadcast at 2500 MHz ... close enough to overload the WiFI. We had local in-building cell nodes for ATT and Verizon where I used to work.